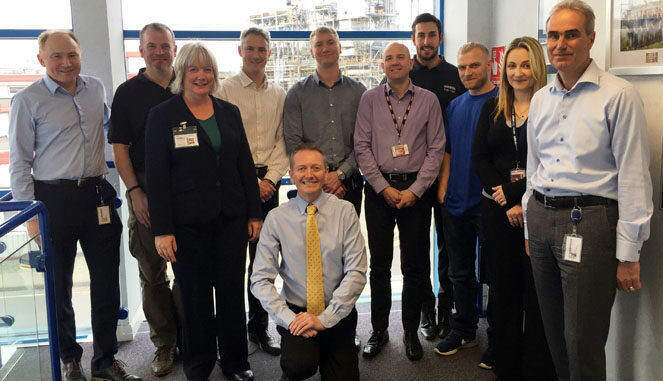 Nine managers from Huntsman Polyurethanes’ Wilton site are celebrating their success in achieving Chartered Management Institute (CMI) qualifications in management and leadership. The company is committed to developing management and leadership skills to complement existing technical expertise and worked with Yarm-based Helios People Development to achieve success in level 3 and level 5 CMI qualifications. The Helios development programme blended bespoke workshops with one to one coaching and was supported with workbooks and a wealth of online learning resources. Topics covered included decision making, stakeholder relationships and managing team performance – key skills for current and future managers. Established in 2003, Helios has been delivering management and leadership qualifications to a wide range of public and private sector clients since inception. To celebrate the success of its first CMI qualification programme, Huntsman’s European operations director, Max Van der Meer flew in to present the certificates. He said: “We’re delighted by the success of our first group of CMI achievers. “We wish to support our managers to lead and develop their teams. A key part of our strategy here and throughout our European operations is to be outward looking whilst working together towards common goals. One of the successful managers is shift manager Jon Wright who has over thirty years’ service with Huntsman. He said: “I’ve found every module we studied applied to my job and I’ve been able to use the skills I gained in the workplace already.